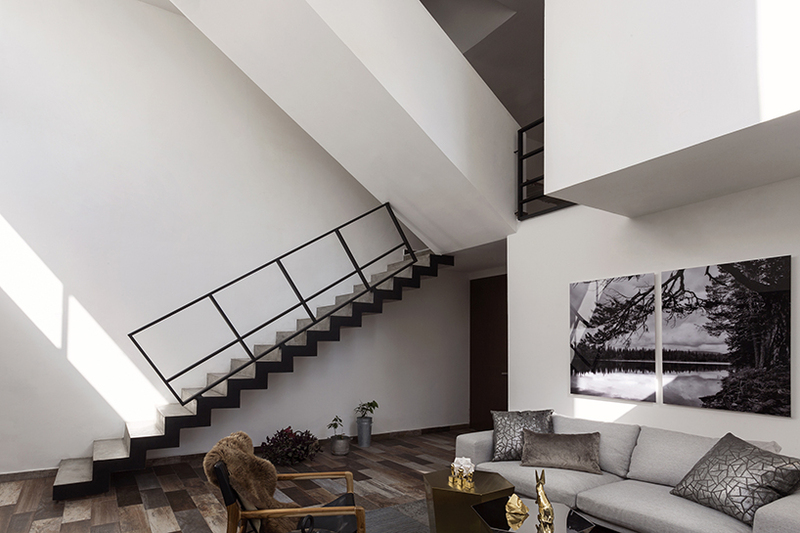 A 240-square-metre private residence in Mexico was initially perceived as a difficult design project due to its awkward shape, but turned out to be an amazing opportunity for ARQUIDROMO. 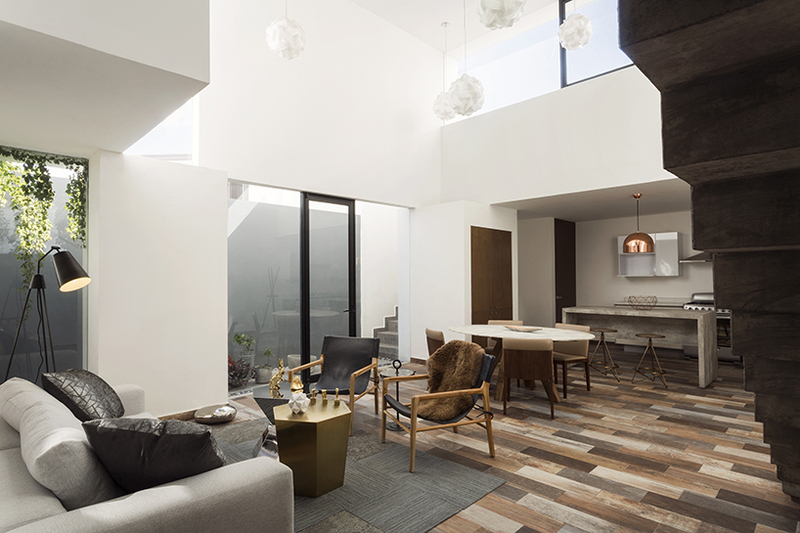 Based in Monterrey, Mexico, architects Bento Frías and Andrés M. Campuzano founded Arquidromo in 2011. Their previous work includes architectural and design projects within the residential, commercial, tourism and cultural industries around Mexico, South America and the United States. As a result of their intense research and craftsmanship, their buildings have become renowned, enriching their client’s lives from the moment they see the final result. 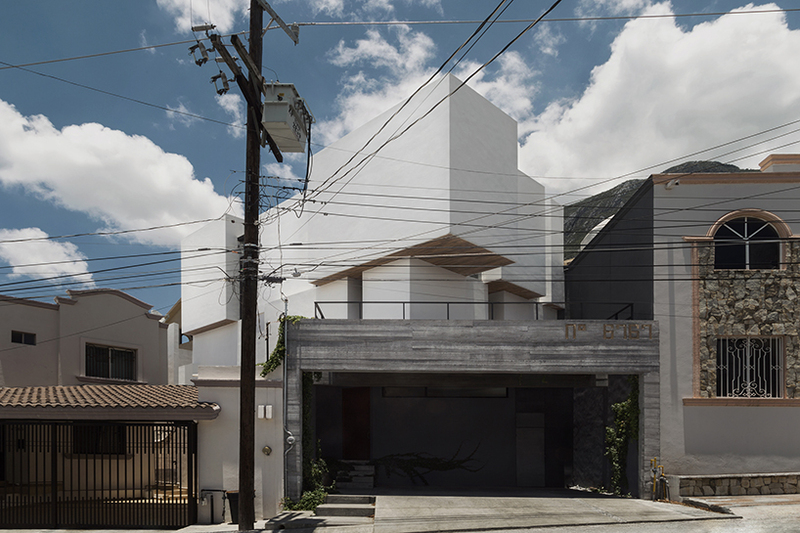 Recently, Arquidromo completed a residence named the ‘Cloud House’ in their home city of Monterrey. The stunning architecture was intensely thought through, and is visible in all aspects of the property; the rectangle shaped lot takes full advantage of its unique character, bending at a 45-degree angle. This has forced all of the residence’s features to be rotated behind the garage, which has become the property’s front foundation. From the street in front of Cloud House, the darkened garage boldly contrasts the white, square three-dimensional walls above it, creating the ‘cloud’ like appearance that gives the house its name. The Cloud House’s exterior consists of a set of white cubes carefully placed together; each cube has a different function internally and therefore is shaped accordingly. The side walls of the building create a unique three-dimensional effect which can be seen from the street. The garage itself is an open shelter which extends forward slightly. Beside it, a walk way of concrete and river stones leads to the main door. Beyond the front door is a low, dark corridor – but again, this is in complete contrast to the room at the other end of the hallway. Through the corridor, guests enter a bright, open, white room which is twice the height of to corridor before it. This is claimed to be the ‘heart’ of the house, as it is the centre of the ‘cloud’ and makes up the house’s living areas. 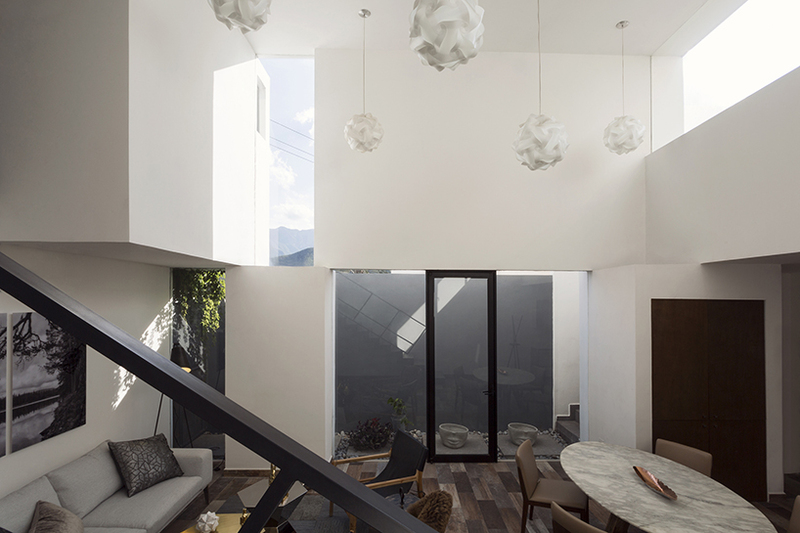 This ‘heart’ of the house is open plan, containing the first living room and the kitchen. Large windows provide natural light and through them residents can see the distant mountains. 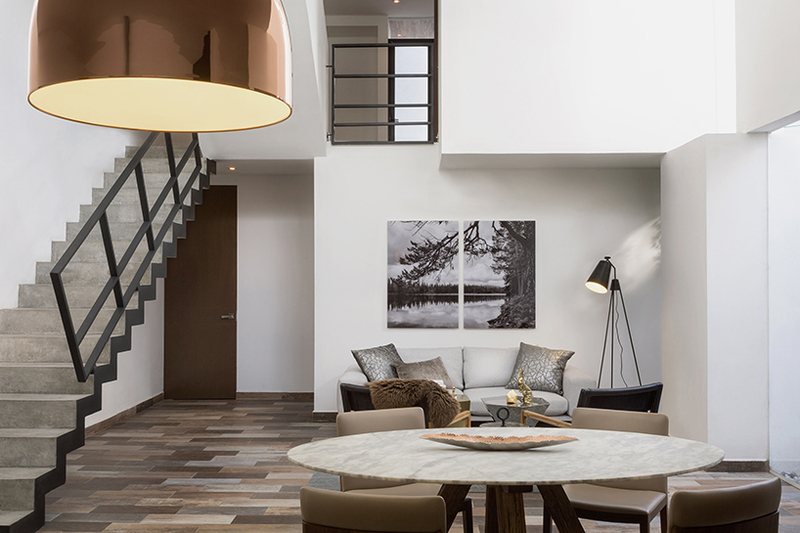 The interior design is modern, in the minimalist style, with low-cost plastered walls and ceilings. This removes the materiality and emphasises the importance of textures and materials within the space. The black, white and grey colours are complimented by the wooden floor and simple, chic furniture. 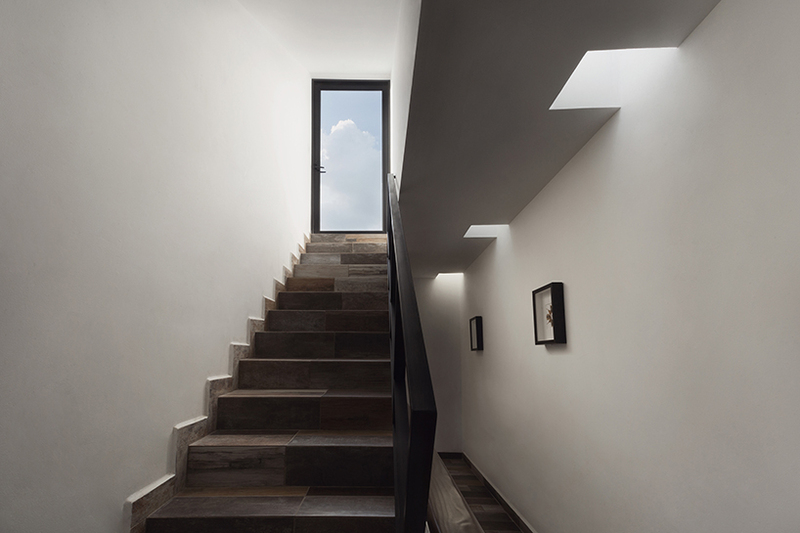 The main stairs are made of concrete with a tiled finish, completing the rustic look of the Cloud House’s interior. They are a central element of the house, leading to a second, semi-private living room and acting as a transition to the third floor. 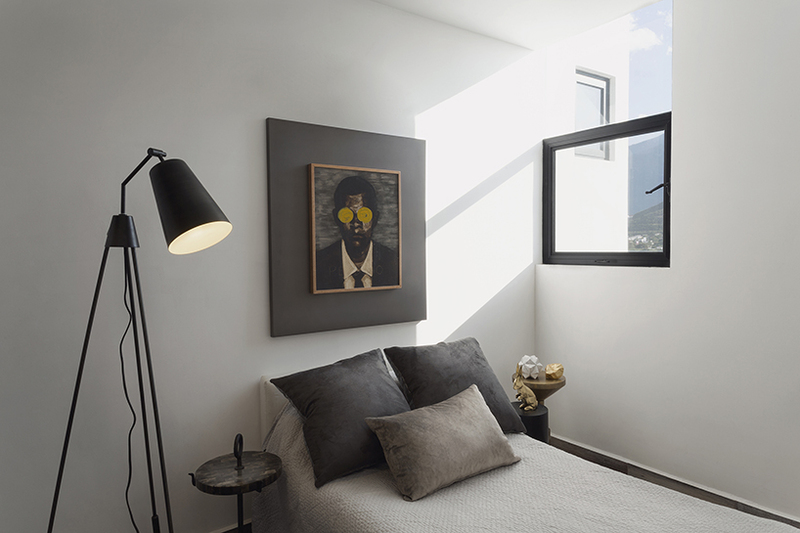 Three modest bedrooms make up the top floor, places along a skylight lit corridor.